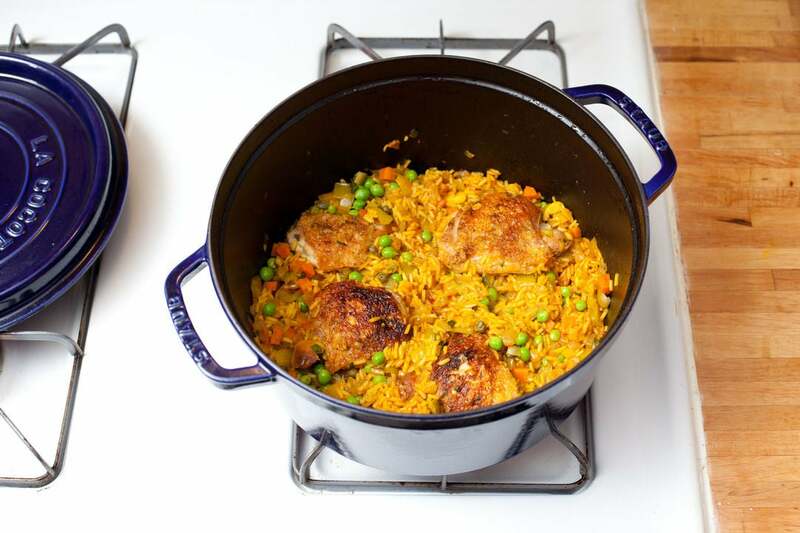 Arroz con pollo, or rice with chicken in Spanish, is never called chicken with rice. 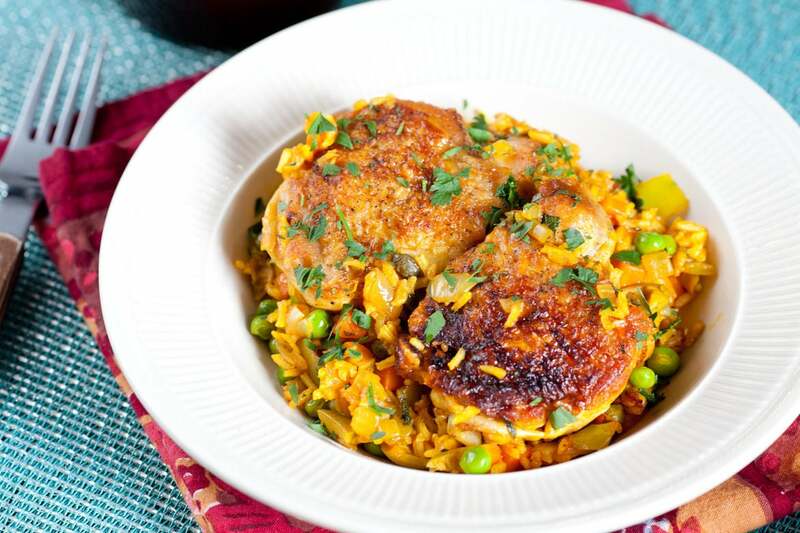 That’s because this dish focuses on the savory seasoned yellow rice that’s deeply flavorful. 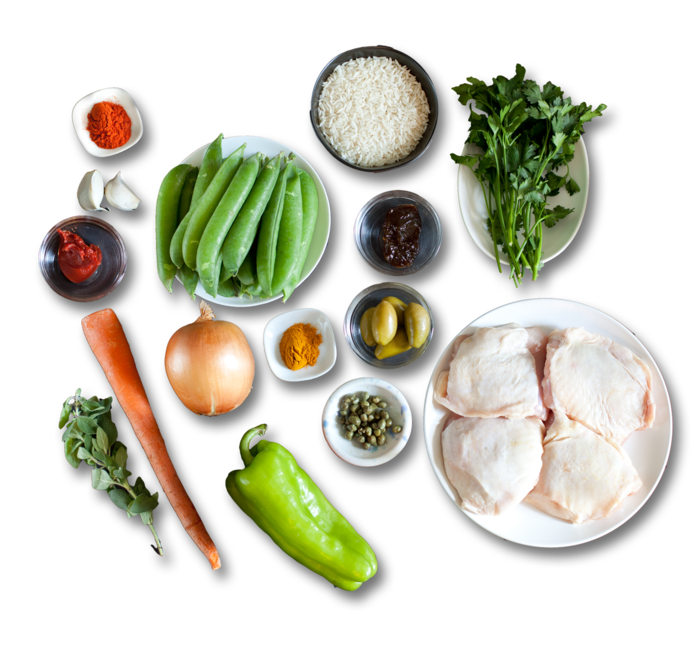 In Latin American dishes like this one, the flavor comes from the sofrito, a mixture of aromatic vegetables that cooks down until it’s concentrated and almost sauce-like. Wash and dry the fresh produce. Peel and slice the garlic. Peel and small dice the carrot and onion. Small dice the cubanelle pepper. Finely chop the oregano and parsley leaves. Pit and roughly chop the olives. Shell the peas. Pat the chicken dry with paper towels and season all over with salt and pepper. In a large pot, heat a little olive oil on medium until hot. Add the chicken, skin side down, and cook 9 to 11 minutes per side, or until browned. 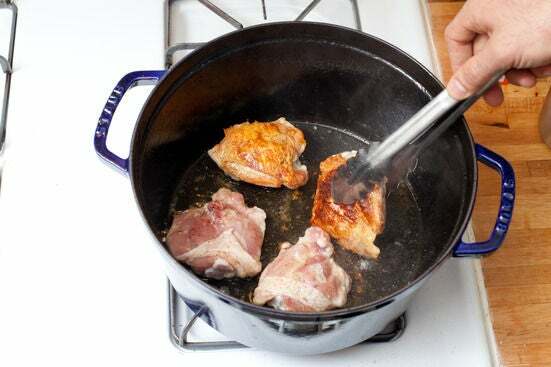 Transfer the cooked chicken to a plate. In the same pot used for the chicken, increase the heat to high. Add the onion, carrot, cubanelle pepper, and garlic. Cook 1 to 2 minutes, or until slightly softened, stirring. Add the turmeric, paprika, roasted chicken demiglace, and tomato paste. Stir until combined for about 30 seconds. Stir in 1¼ cups of water and the rice until combined. Heat the mixture to boiling on high, then place the chicken in the pot skin side up. 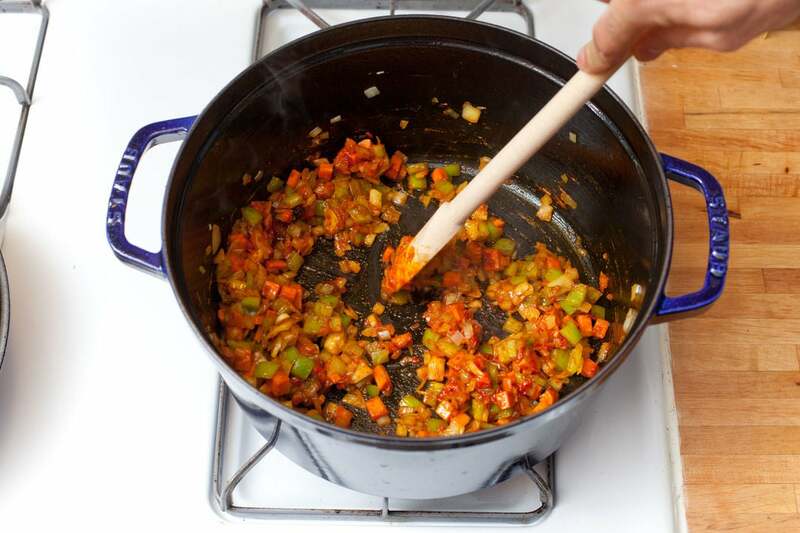 Cover, reduce the heat to low, and simmer 15 minutes. Uncover to quickly add the peas, olives, oregano, and capers. Cover again, and simmer about 5 minutes longer, or until the rice is cooked through and all the liquid is absorbed. 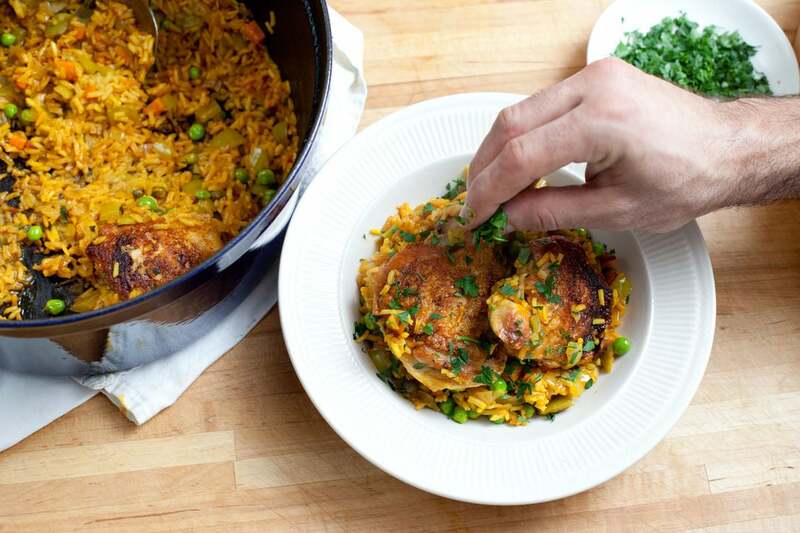 Place the rice and chicken on plates. 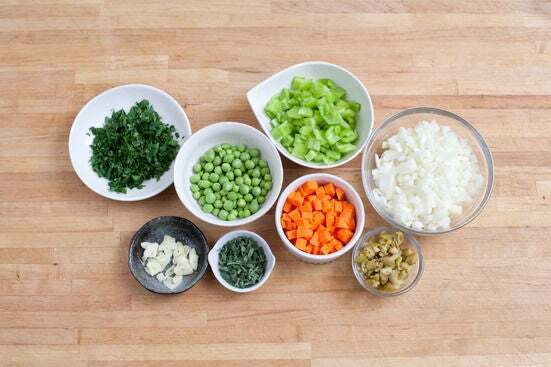 Garnish with the parsley. Enjoy!